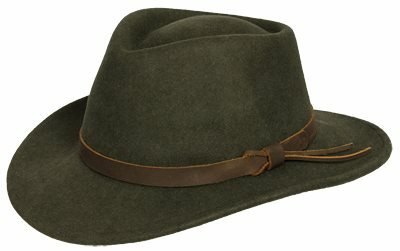 The Perth Hat is made from 100% crushable wool felt with wide brim. It can be packed away in luggage and will spring back to shape with only slight manipulation. Water repellant with leather trim/band.